Buy Europa Universalis IV: Common Sense Collection and get the games download now! Europa Universalis IV: Common Sense Content Pack (Great Nations Unit Pack, Free Cities Unit Pack, Theocracies Unit Pack, Buddhists Unit Pack). 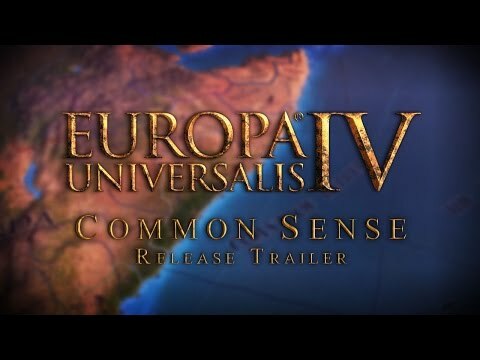 Common Sense is the fifth major expansion for Europa Universalis IV and focuses on diplomacy and the internal development of nations. This addition allows you to peacefully develop your nation and build a 'tall' empire, whilst also giving you the tools to execute grand diplomacy. Game changing religious features add depth and intriguing complexity to the gameplay. The ability to work closely with your subjects and better control them through interactions and decrees should make common sense for anyone with designs to get to terms with the internal struggles of constitutional monarchies. Devotion : Theocracies have Devotion based on how closely they adhere to their faith, with high Devotion increasing prestige, papal influence and tax income. Theocracies choose their successors from 6 different alternatives, such as an influential preacher or a noble's son. Subject Interactions : Over 15 new special actions that can be taken towards subjects, such as installing your own dynasty on the thrones of your vassals. Parliament : Parliamentary rule for constitutional republics and monarchs, and a special parliamentary government for England. Grant your provinces seat in parliament and bribe them to vote on issues that strengthen your nation. Provincial Improvements : Develop the tax, manpower and goods production of your empire by spending monarch power. Free Cities of the HRE : Small nations in the Holy Roman Empire can be granted the status of Free City. Government Ranks : All nations are ranked, from small Duchies to great Empires, and can increase their government rank as they grow in power.